Wonderful well maintained home in excellent location & good school district. 4 bedrooms plus huge bonus room. w/ built-in shelves & desk.1 bed downstairs w/ 3/4 bath. Seller have spent over $ 100,000 in improvements for energy efficiency ( see documents section. Kitchen has gas cooktop,,Dacor & Miele appliances, built in refrigerator & granite countertops. Plantation shutters in living area. Both upstairs and downstairs heat pumps replaced with new Carrier high efficiency units. All windows replaced w/ Anderson double pane ones, new Pella sliding glass door. Insulation added., newer roof. Pool resurfaced ,fence avail 3 car garage with full wall of built in cabinets. Very nicely landscaped yard, newer irrigation system. Full roof update in 2013. Approximate size: 10387.00 sq. ft. 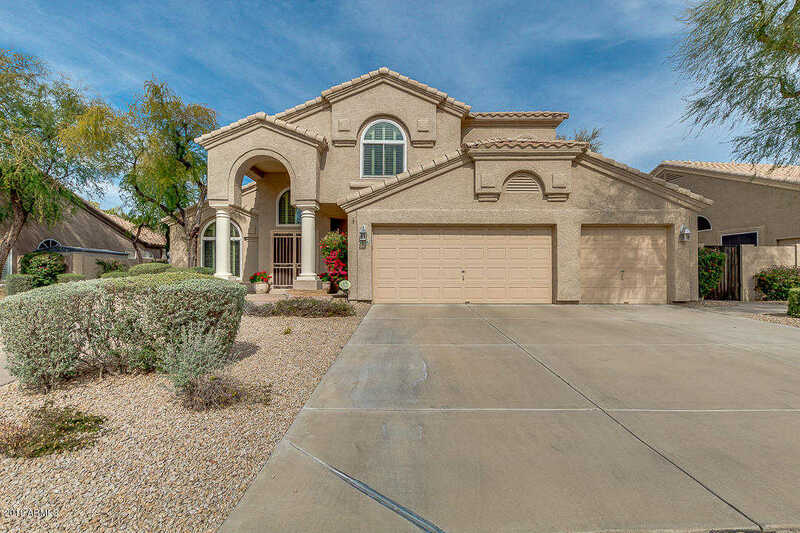 Please, send me more information on this property: MLS# 5877503 – $635,000 – 5418 E Hartford Avenue, Scottsdale, AZ 85254. I would like to schedule a private showing for this property: MLS# 5877503 – $635,000 – 5418 E Hartford Avenue, Scottsdale, AZ 85254.